So sad. Did they save anything? The tile, the windows and anything else that was worth saving? Brandon - I have no idea. I wasn't able to gain access to the interior. At some point someone installed new windows in it. What a waste! 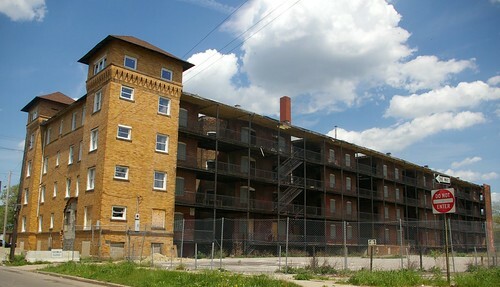 A sad dose of reality; most of Hough needs to be demolished. 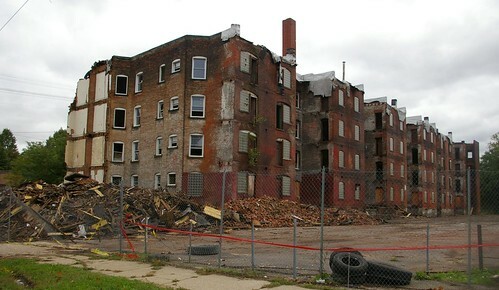 Rather what little is left of Hough needs to be demolished so that it can be rebuilt from the ground up. U must not b from HOUGH HTS,to say something like this,I grew up there ,went to HOUGH elementary,fought @john w taper,lived behind Charles Orr,I'm a organial from HOUGH,and to see it go is a crying shame. This structure was in more solid condition than a good many of the structures in Hough built in the past 30 years. That leads me to think that just building new isn't the answer. 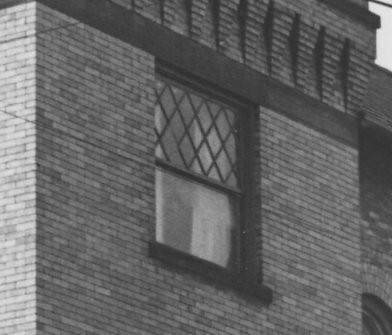 I, too, noticed all those new windows -- it was the entire building, so it must have been a couple hundred -- and then NOTHING followed. Yes, there was a near-twin -- although not nearly as big -- on Franklin at W. 57th. 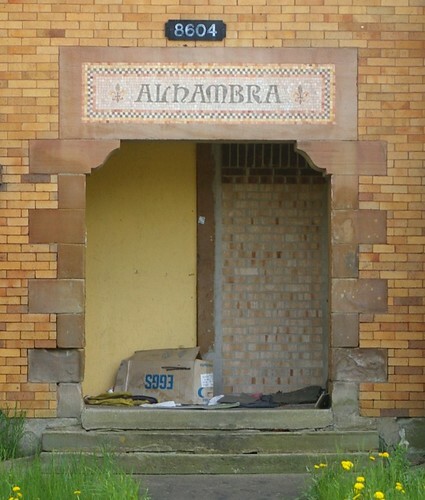 It is amazing that that structure was demolished many years ago -- it is no small wonder that the Alhambra out-survived it by so much time. 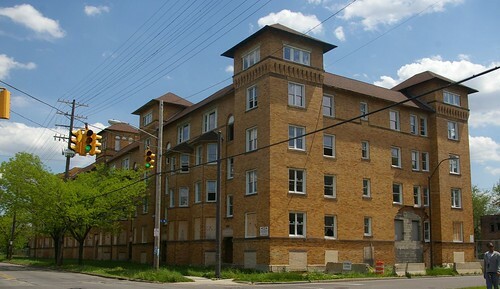 A note to the person who thinks the whole neighborhood ought to be demolished (which would include the Luther Moses House, incidentally): the Hough neighborhood isn't going to be rebuilt no matter how much is demolished. Its fate was sealed with the Hough Riots of 1966. The City has turned its back on this neighborhood, as they have with seemingly countless other neighborhoods. Besides, why is such an obviously anti-preservationist as yourself looking at this pro-preservation site, anyway?? 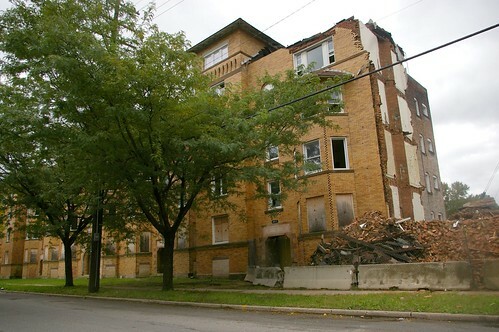 You probably thought that it was great that the Columbia Building was demolished. I'm sad to see this why couldn't it be saved????? It was on the wrong side of town to mean anything to anyone down. If if were someplace else, developers would have been slobbering over it to get their hands on it. 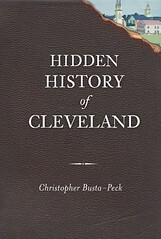 The same goes for East Cleveland. They are not in the right neighborhoods for anyone downtown to care. It's a sad ending to a majestic building. This is so sad.... 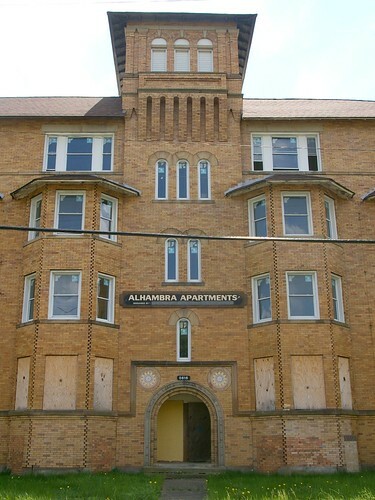 I've never lived in the building but most of my childhood friends did! Which was right around the corner from my childhood home! So so sad to see it go. I've spent many days at this place, man I wish it could've been saved. Yes, I have a lot of childhood memories here as well, and friends who lived here. Those were the good ole days when we use to go to the arcade at Martin Luther King Plaza❤ Dad to see it go.